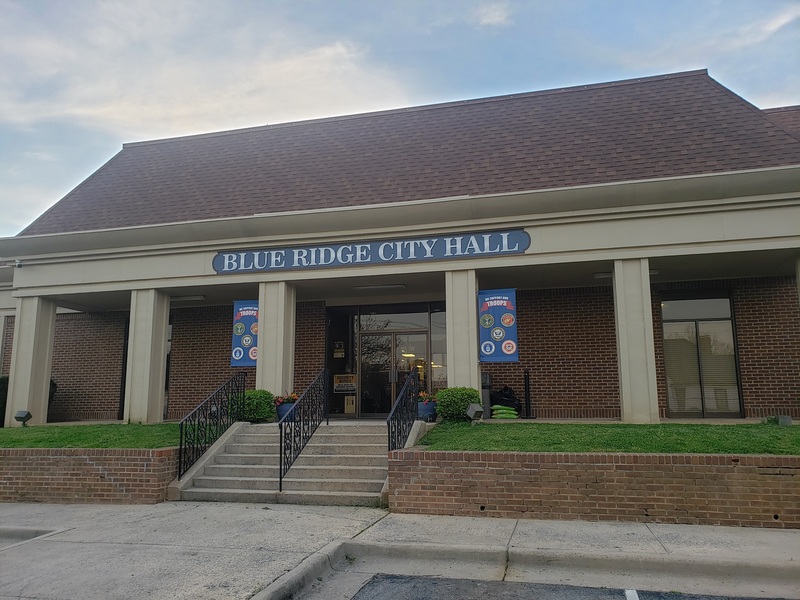 BLUE RIDGE, Ga. – After hearing many words of support and opposition regarding the previously discussed short-term rental ordinance, the city council voted to adopt this ordinance during the council meeting on Tuesday, April 9, 2019. (Pictured left to right: council members Harold Herndon, Ken Gaddis, Nathan Fitts, Mayor Donna Whitener, City Attorney James Balli, council members Rhonda Haight and Robbie Cornelius, and City Clerk Kelsey Ledford). Council member Nathan Fitts (30:47) states that several changes have been made to the proposed ordinance since it was initially read. The two major changes being that on lines 118-122, a provision has been included to require the holder of the rental certificate to identify the identification number (provided by the platform being used by the holder of the certificate) on their monthly hotel tax returns so that it stays current with the city. Fitts goes on to state that in section 10, lines 193-207 (31:50), it’s made clear that this only allows short-term rentals in commercial zones, and not in residential, with the exception that someone holding a current short-term rental files an application seeking a variance or re-zoning 30 days from the effective date of the ordinance (which has been set for Monday, June 3, 2019) may be grandfathered in for a 12-month period, or until there is a change in ownership. In short, Fitts states that there is an ability of someone living in a residential zone to submit an application to change this, at which time neighbors will be notified and then opinions may be made to the council, and proposed changes to the variance or re-zone may be made. The council voted in favor of this short-term rental ordinance via roll-call vote, with only Fitts opposed. 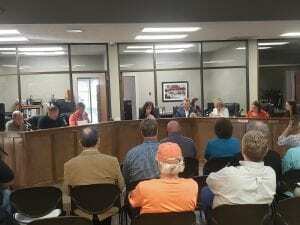 Because of the dangers imposed to the fire fighters that leave the department on Windy Ridge, the council also voted to put stop signs on each side of the department, thus implementing a three-way stop (36:30). Mayor Donna Whitener says this will hopefully slow traffic down in an area that people are often confused by the road layout. The final vote was on a Minor Land Use Map Amendment proposed by Russ Stevenson of 65 Depot Street (30:00). The purpose of this amendment is to rezone a tract of land from R1 (low-density residential) to R3 (high-density residential). The property map and parcel number of the subject property is BR02 258 and contains +- 0.38 acres. The council voted in favor of this amendment with none opposed.